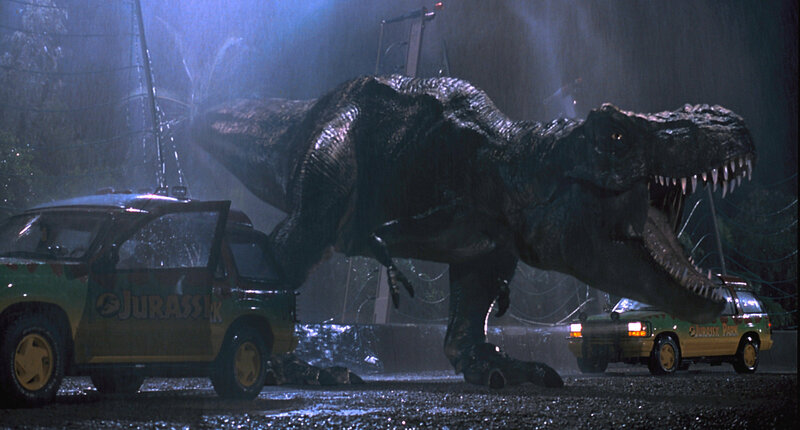 Jurassic Park is a 1993 science fiction/action/horror film, directed by Steven Spielberg and based on a 1990 novel of the same name by Michael Chrichton (who would help write the screenplay). The film tells the story of how a billionaire philanthropist, John Hammond, has created a wildlife park of dinosaurs, cloned from DNA preserved in amber. All of the dinosaurs are female so as to prevent breeding, but the DNA was incomplete so it was bulked out by materiel from frogs. 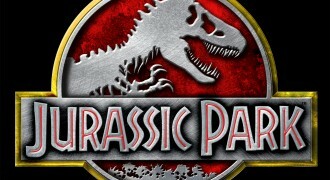 After a park worker is killed by a velociraptor the company’s lawyers bring in experts to certify it as safe: a mathematician (Jeff Goldblum) and a paleontologist (Sam Neil). They begin a tour of the park along with Hammond’s grandchildren, but various problems cause them to return to the visitor center. 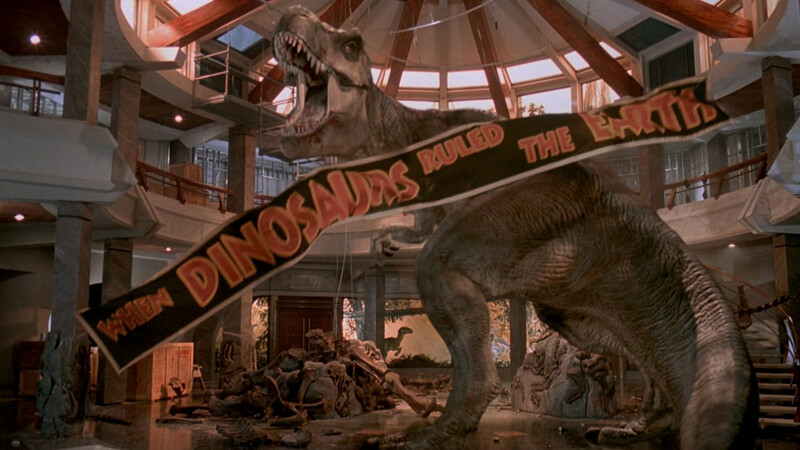 Meanwhile, the park’s chief programmer (played by Wayne Knight) has been bribed by a rival firm to supply them with dinosaur embryos, and as a cover for the theft he deactivates the security system, letting all of the dinosaurs out of their enclosures. During the chaos, the group discovers broken egg shells and deduce that, since the dinosaurs include DNA from frogs, that some of the creatures have been able to change their gender and thus breed. 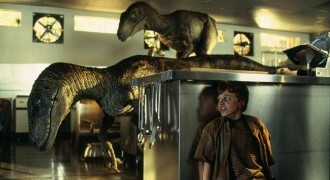 The group is able to escape, after being unexpectedly saved from velociraptors by a T. Rex. 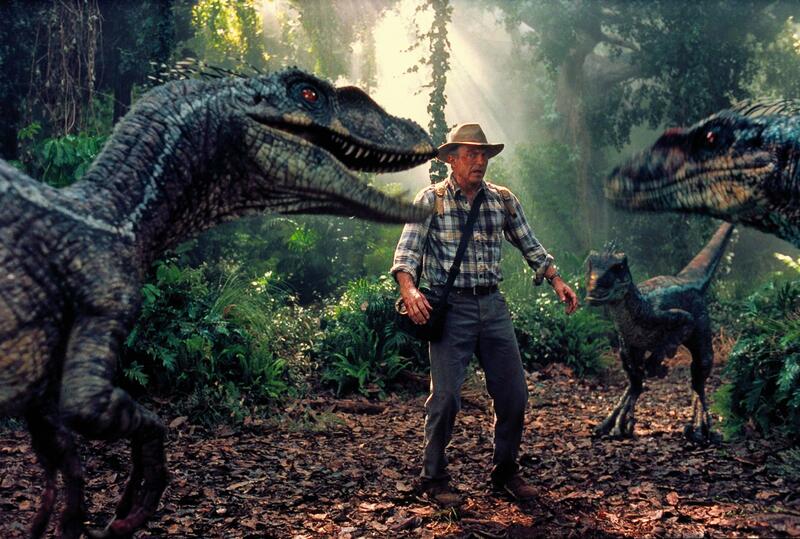 They call for help and are rescued, and the decision is made to close the park for good. 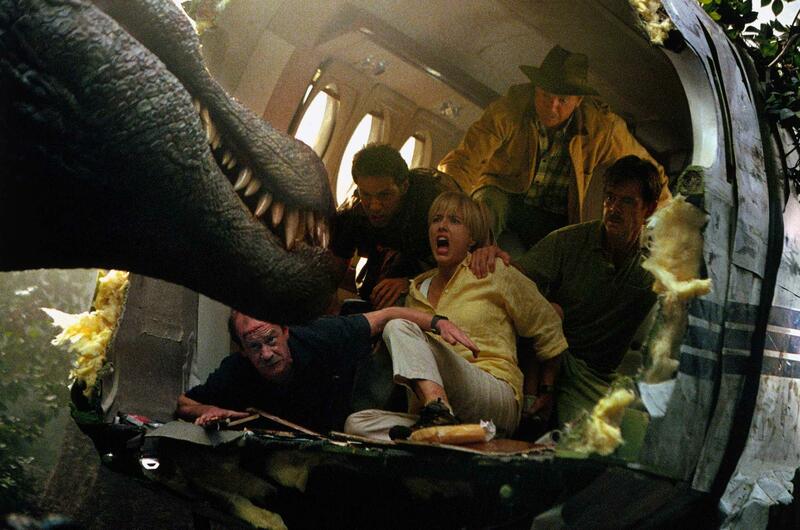 The film was a smash hit and set a new world record for highest-grossing film, a record it would eventually lose to Titanic four years later. 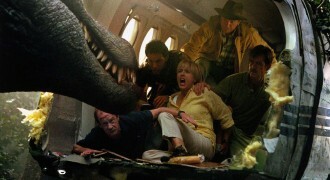 The film has won a host of awards, including three Oscars and launched an entire franchise, with two sequels released and a fourth in production. The film received unexpected additional realism for it’s storm scenes when a hurricane passed directly over the Hawaiian island where hey were filming, with a considerable amount of storm footage being used in the film. 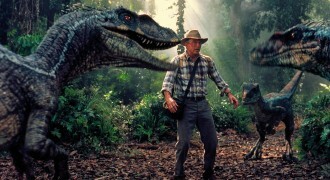 As with many of Steven Spielberg’s films, the score for Jurassic Park was compsoed by renowned Hollywood composer John Williams. 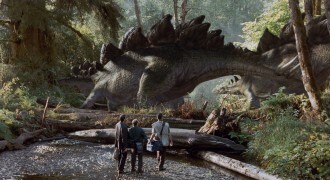 It was created at the same time as the film’s sound editing was being done, allowing Williams to draw inspiration from the dinosaur sounds used in the film, leading to what he described as a “rugged, noisy effort.” Whilst much of the score is performed using a large orchestra, synthesizers are used in most pieces, some more boldly than others. 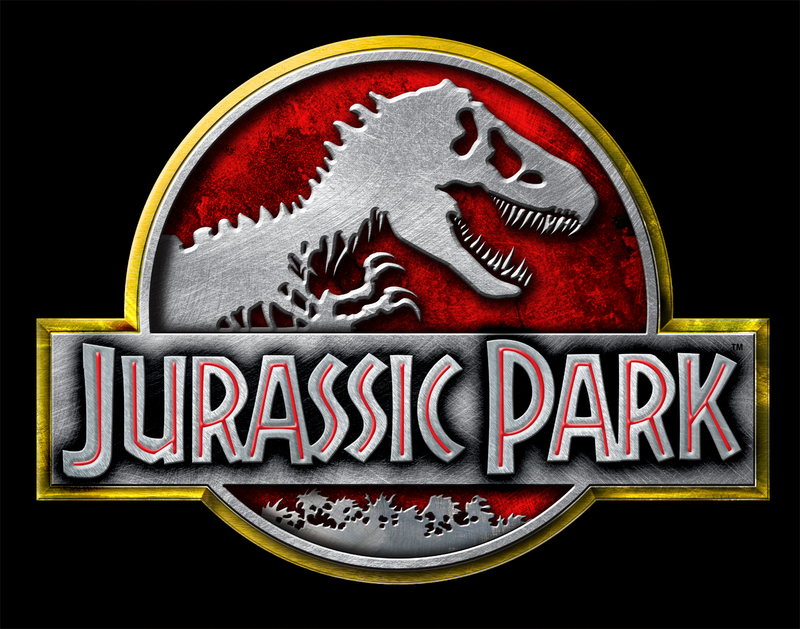 THe main theme, known simply as “The Theme from Jurassic Park” is a typical William’s piece, bold brass and percussion supported by strings and woodwind, evoking a sense of grand scale and awe. THe piece remains a triumph of orchestral music. 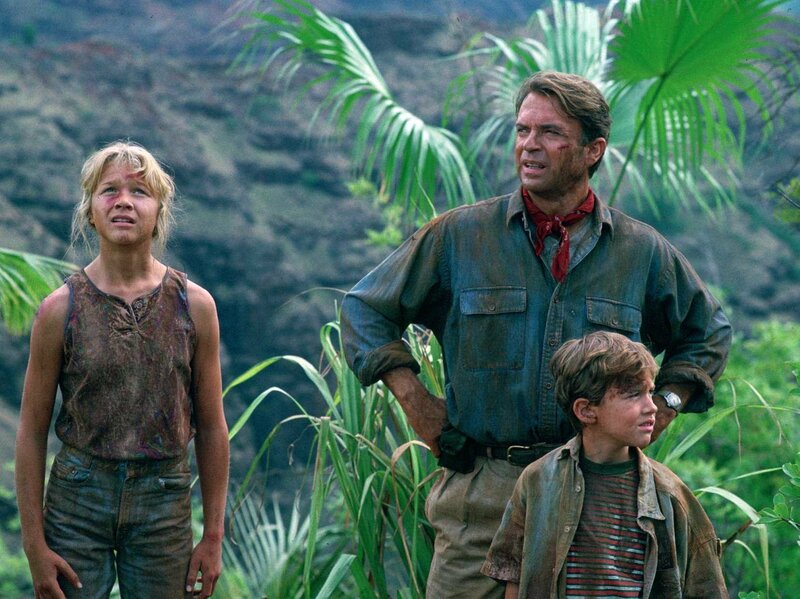 Here's the official Jurassic Park movie trailer which you can watch for free. To watch the Jurassic Park trailer just click play below and the movie trailer will start playing. 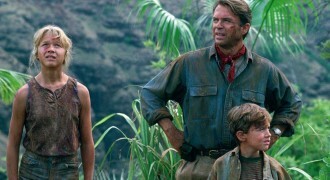 If you'd like to download the Jurassic Park theme song or download Jurassic Park trailer you've come to the right place. 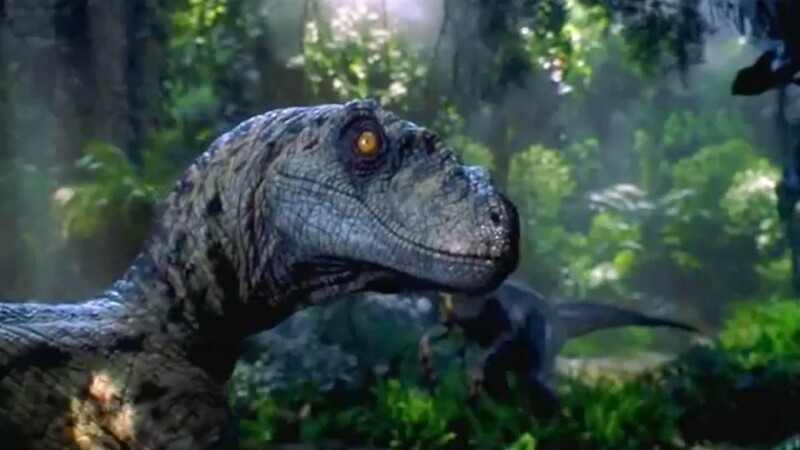 You'll need to use some video download software which you can find online which will let you download the Jurassic Park theme song video in HD. 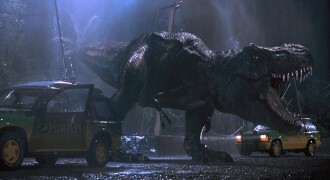 Here are some great Jurassic Park pictures and Jurassic Park desktop wallpapers. You can download any of these images to your computer by right-clicking on the picture you want and choosing "save image as". 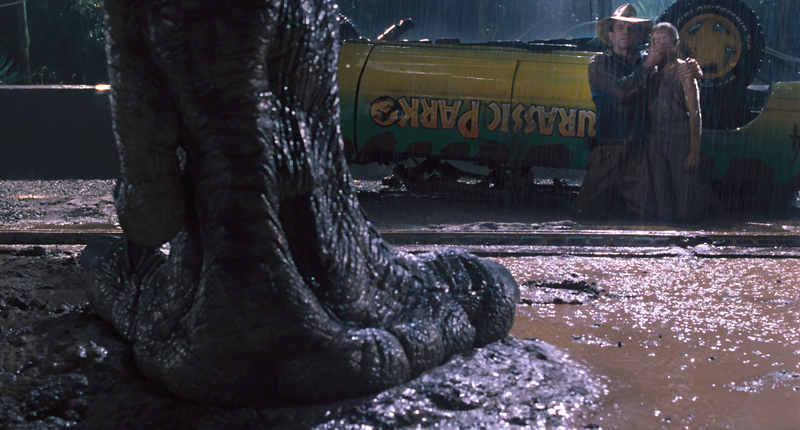 Once you've downloaded one of these Jurassic Park images you can use it as your wallpaper etc. 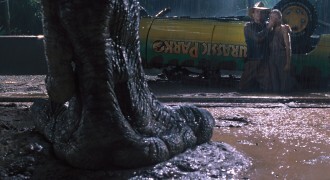 Here are the latest high resolution Jurassic Park wallpapers which you can download right now.